I was pretty sure I could do something with the lovely fronds on this week's fennel, and a quick Google search confirmed my suspicions. All together this is a simple dish to make, and any extra pesto will keep in the fridge for a week or so in a sealed jar. Pre-heat your oven to gas 6. Chop the fennel and put in a baking tray with the tomatoes, olive oil, and salt. Stir. Roast for 20 mins. Meanwhile, make the pesto. Put all the ingredients in a small blender and blend until coarsely chopped and mixed. You'll have to scrape the sides down and unwrap fennel fronds from the blender stick as you go. Add extra olive oil until the pesto is the consistency you want. When the veg has about 10 minutes to go, put your pasta into salted boiling water and cook to your liking. Before draining, reserve some of the pasta water (about a cup). 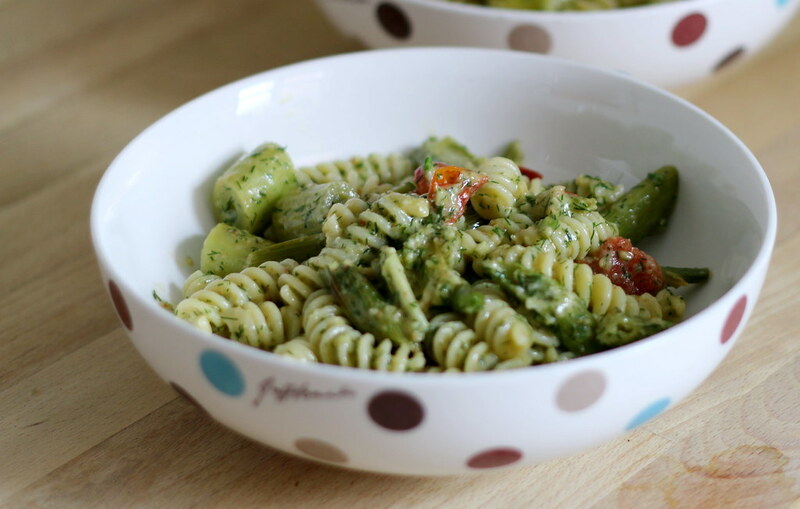 Mix the roast veg with the pasta and add as much pesto as you want. Add the pasta water to create a creamy consistency. Serve immediately.